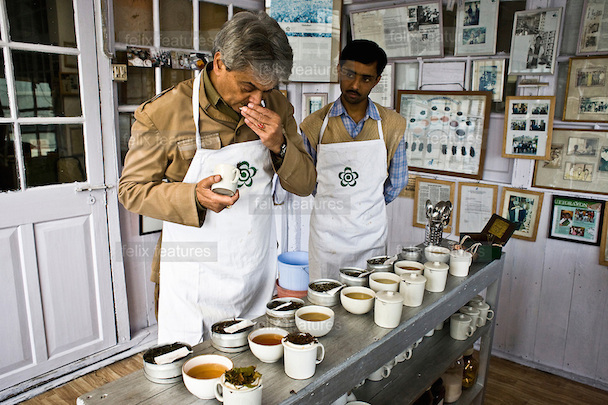 At Makaibari Tea Estate in West Bengal, India, the fourth generational owner Swaraj “Rajah” Banerjee instructs, “Sip, swish, inhale sharply, then spit,” proving tea tastings are undertaken with the same solemnity and ceremony as sampling fine wine. Not only is the act similar, but in some cases, the prices are comparable too, with one particular custom brew—Silver Tips Imperial, the plantation’s most famous tea—holding the record as the world’s priciest Darjeeling variety. In 2006, it fetched a jaw-dropping $1,800 per kilogram at a Shanghai auction. The green-and-silver streaked leaves are composed solely of the healthy, unbroken tips of Makaibari’s organically grown bushes and are harvested just five times a year, only under the light of a full moon. Lunar pull, just like temperature and healthy soil, affects the flavor, explains Banerjee. The result is a delicious, light and floral tea with subtle peach undertones. Kurseong, West Bengal is part of the misty Himalayan foothills of India’s Darjeeling region, a name synonymous with quality black tea, and home to some 87 tea estates. 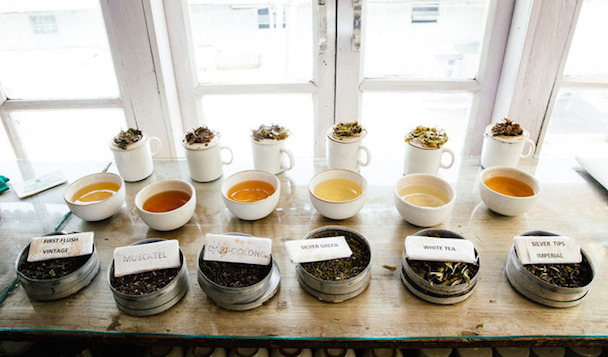 Few realize that Darjeeling tea isn’t just one refreshment from the namesake town, but many. 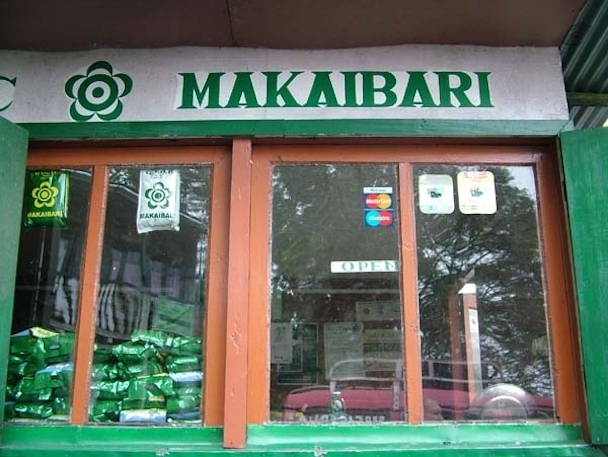 The family-run Makaibari estate stands out from the masses as a fully biodynamic plantation—the first in the world—as well as being the first to earn Fair Trade certification. Banerjee focuses on permaculture, using a multi-tier system of plants and trees to prevent erosion and keep the soil enriched, rather than growing a monoculture of tea bushes, and two-thirds of the land remains forested. There’s no pesticides here; his fertilizer is a mix of bark, flowers, and minerals. After sipping your way through a range of teas, there’s plenty more to experience. Trekking steep trails through acres of green tea bushes offers a closer look at the plants themselves, plus miles of unobstructed valley views. If you arrive in harvest season (late March to November), you’ll witness hundreds of nimble-fingered workers combing the fields, and be able to try your hand at plucking a few leaves yourself. A tour through the tea factory (founded in 1859) shows visitors each step of processing; from withering, rolling, fermenting and drying—a pleasantly aromatic journey. And during a trip, a homestay with a local family in the village is the best way to spend the night. Coffee fanatics, beware: there isn’t a lot of coffee around. “I drink about 30 cups of tea each day. 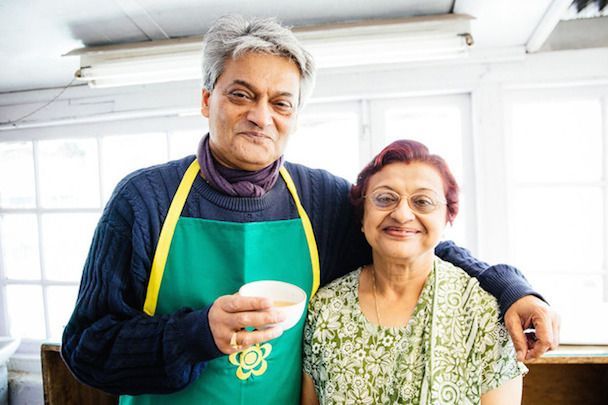 No, really, but we don’t even keep coffee in the house,” laughs Banerjee. 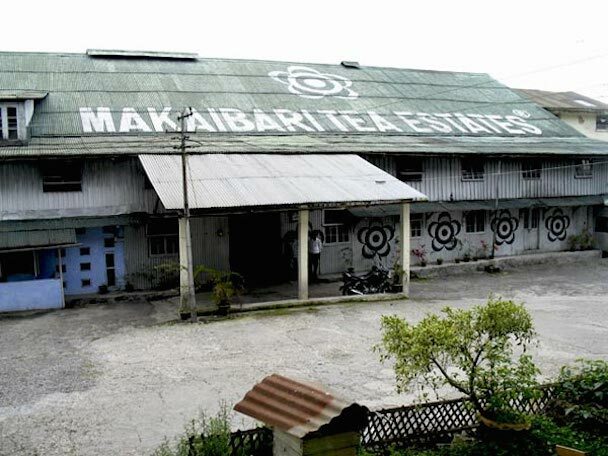 Makaibari Tea Estate is located in Kurseong (32 kilometers south of Darjeeling) and visits are free. 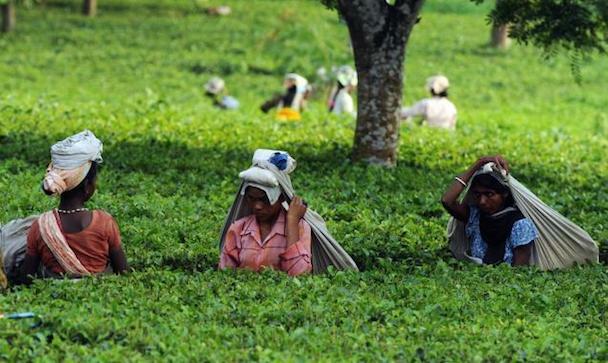 Tea-plucking, tasting and lunch costs $10. Makaibari homestaysare just $25 per couple with all meals included, with proceeds benefiting the women of the community. Silver Tips Imperial Tea is available online for $20 per 50 grams (which yields about 20-25 cups of tea) along with other white, green, oolong teas and more. ( By Kelly Badal from coolhunting.com – Photo © Tanveer Badal ) For more information visit also the link below.